Marathon Packing Essentials – Roctane and Chunky Sweaters, No? I’m practicing my Chicago accent and I think I’m going to go with Chi-caaaaaaga. You just have more fun saying it in that, you know, the look at me, I’m a tourist, sort of way. Yes, that’s it. Along with my verbiage practice, this weekend I squeaked out an awful 10 miler (yes, my body was telling me it was still sick). But the good news is that I actually didn’t wait until the last minute to pack, which gave me ample time to lay out everything and take a photo. Smile, Lola! The bad news? It gave me more time to say…. And after too much self-persuasion, I was easily over-packed and over-whelmed. So here it is folks, a glimpse at most of what I want to pack (not including toiletries, my running electronics which were charging and some other nonsense). Sure, I like to travel light, but I also want to be fully prepared and ready for anything! 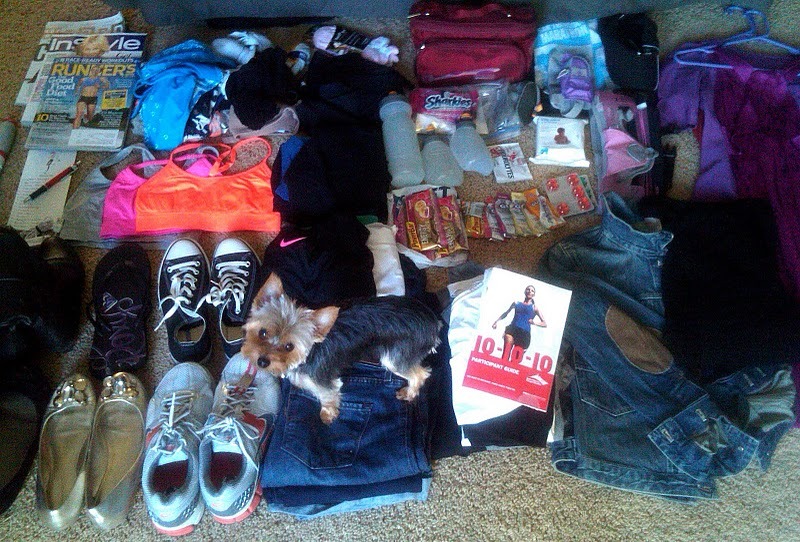 What are the essential/not really essential items you bring with you when traveling for races? Is there anything I forgot?!? Ahhhh, good call and thanks for the reminder. Picking up some cheap sweats tonight! Is the doggie getting packed too? It was cute to see him (her?) in there! Have a great time at Chicago! omg love it. Lola is so freakin’ cute. GOOD LUCK!! you do NOT want to ask me, i am the worst overpacker in the world 🙂 ahhh so excited for you! I am going with Chiiiiccccaaagaaaaa too! 😉 I’m normally a pack a week ahead kinda girl, but ever since I started racing I wait until the last moment and I seem to be a much better packer. I usually think worst case I forget something and it gives me an excuse to shop 🙂 Safe travels and hopefully I get to see you at some point there!!! I totally pack exactly like that! Hahaha! I’m the person shelling out the cash for the heavy bag! Good luck girlie – enjoy the race! 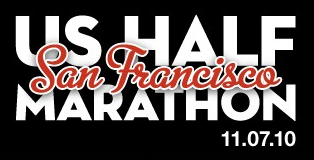 It’s on my bucket list of races one day! Good luck Page and run like the wind. I’ll be thinking of you. Your such an inspiration. Hahahahaha you are hilarious! I think you packed just fine and if you forgot anything, just buy it…it’s not like you are packing for Antarctica! I fancy myself a very light packer (I HATE checking bags, hate hate hate it!) so I could only tell you what to take out.